Owens Healthcare and Healthy Shasta are inviting the entire community to this fun and free event for all. Stop by to fuel up and get energized with live music or plan to meet up with friends and enjoy the bike festivities. 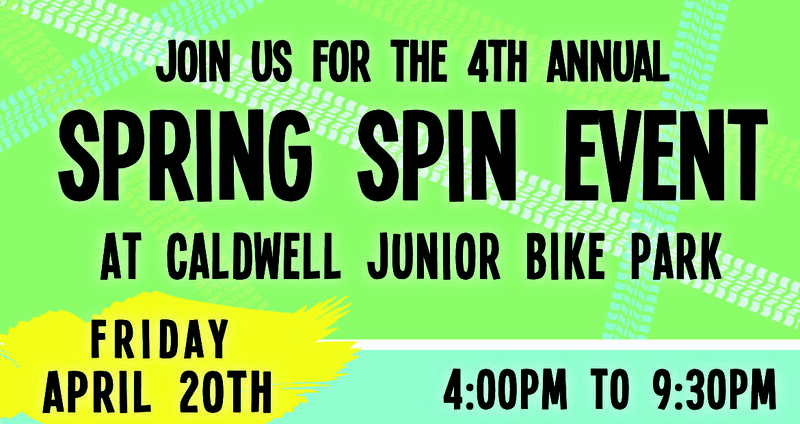 Everything you need to celebrate Shasta Bike Month all in one place – live music, stunt masters BMX show, outdoor bike movie, food trucks, drinks, local vendors, bike mechanics, advice on bike routes, and more! Bring your bike to have fun at the bike park, or grab a bite to eat and enjoy the outdoor bike movie on the big screen. Free Bike Valet will be provided. 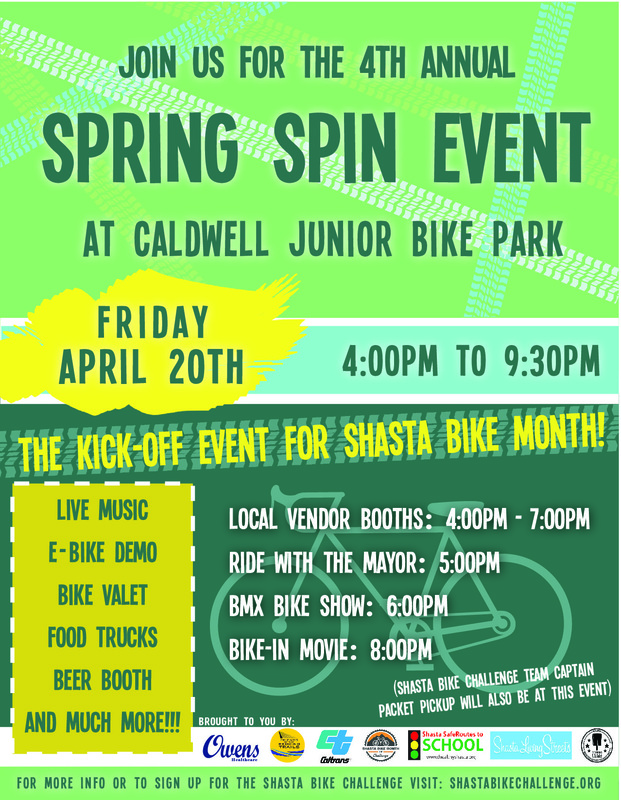 Come join us for this awesome Kick-off event for Shasta Bike Month and Challenge! What is Shasta Bike Month? The Shasta Bike Month and Challenge is a collaborative effort of the bicycling community to engage new, old, and current cyclist to ride as much as they can whether it is for transportation or just for fun! Participants are entered into a free drawing for great prizes each day they ride their bicycle to work, school, or wherever they may want to go! This year’s 2018 Challenge is from May 1st to 31st. The more days participants ride, the more likely they will win a prize! 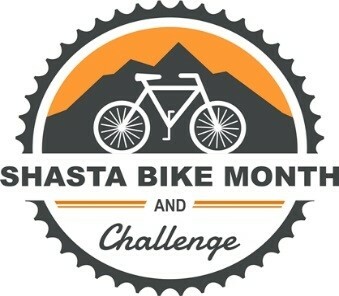 To find out all about this challenge visit www.shastabikechallenge.org. Our local 2018 Shasta Bike Challenge will be housed within the Love to Ride platform, which will make this year’s challenge more exciting, punchier, and ultimately more successful at encouraging more people to ride, more often. Note: All data from previous years on the National Bike Challenges (Teams, Participants, Stats) has been removed. All team captains will need to register as a new workplace, school, or team. If you are interested in signing up for the Shasta Bike Challenge simply visit www.lovetoride.net/Shasta and click the Register button on the top! You can create your own team, join an existing team, or simply ride solo. Owens Pharmacy – Different and Better! CLICK HERE TO TRANSFER YOUR PRESCRIPTIONS TO OWENS PHARMACY TODAY!